Our company produce the rigid aluminum tubes, including any aluminium tube and aluminum can for aluminum cigar tube, aluminum pen tube, marker, permanent, aerosol can, cosmetic container, pills and so on. We have 20 years of aluminum tube production experience. Recently, we invest a lot of capital to import the high-quality fully automatic equipment to Taiwan, so we can offer high-quality products, which can meet customer's need and raise international competition ability, creating markets and profits . 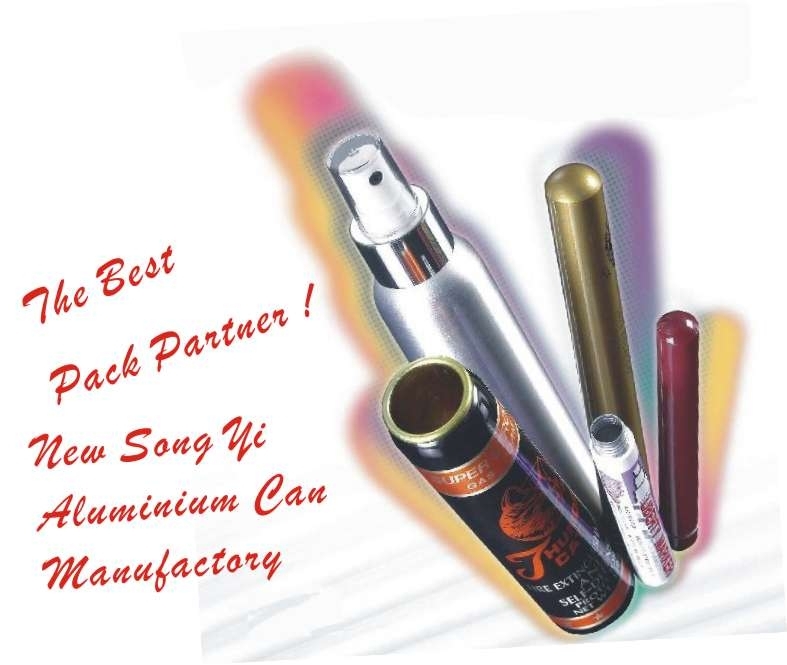 Copyright 1999-2008 NEW SONG YI ALUMINIUM CAN MANUFACTORY CO.,LTD. All rights reserved.